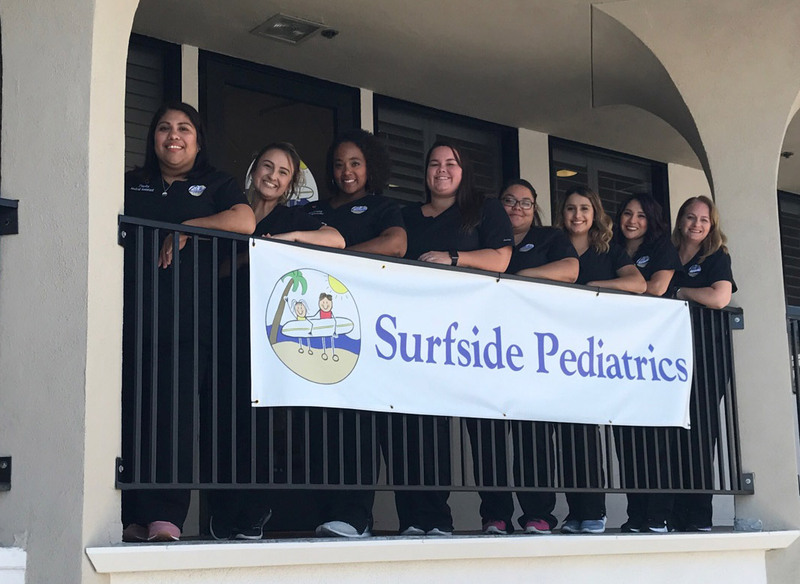 Meet our team at Surfside Pediatrics! Please take a few moments to learn about our skilled practitioners and our friendly, nurturing staff. At Surfside Pediatrics, we consider it both a great joy and responsibility to care for children. Most of us are parents ourselves, so we strive to be understanding and available to the families we are privileged to serve. We are honored that you have chosen us as your child's primary medical provider and are confident that you will be pleased with the quality of care and service that we can provide you and your family. Your child's health is as important to us as it is to you. We look forward to providing you with excellent pediatric care, in the Ventura, Ojai, Oxnard, Fillmore, Santa Paula and Camarillo areas. Dr. White, the providers and staff at Surfside Pediatrics focus on health promotion and health maintenance, trying to teach families how to raise healthy, confident, well-balanced children while providing excellent care for your child from newborn infants through childhood, and adolescence. Dr. Kevin White is the founder of Surfside Pediatrics. He has a passion for providing the best family centered pediatric care in Ventura County. He trained originally in Nutrition and Dietetics. He attended medical school at the prestigious Dalhousie University Medical School in Canada. He completed a pediatric residency at University of Western Ontario and the Children's Hospital of Western Ontario in London, Canada. He then went on to do advanced training in Pediatric Infectious Diseases at the IWK Grace Health Center in Halifax, Canada. He worked in Newfoundland (northern Canada) providing pediatric care in remote locations. Prior to opening Surfside Pediatrics, Dr. White practiced in group practices in Ventura and Santa Monica. Dr. White Serves on the board of several charitable organizations. He is active in medical missions work and is the founder of West Africa Medical Missions. He is a nationally recognized speaker on infant nutrition. He is the past department of pediatrics Chair at Community Memorial Hospital. Dr. White is married, and father of four children. His hobbies include cooking, music and travel. Dr. Stacey Lowen joined Surfside Pediatrics in 2015. She completed her undergrad, medical school and residency at UCLA. She has a passion for providing well child and urgent care to children of all ages. She has extended training in newborn breastfeeding care. She also serves on the board of the South Bay Eating Disorder Coalition and mentors Pediatric residents at UCLA. Prior to joining Surfside Pediatrics, Dr. Lowen worked at a private pediatric practice in Palos Verdes. Dr. Lowen also works at After Hours Pediatrics in Thousand Oaks. When not working, Dr. Lowen spends her down time with her husband and two teenage daughters. She enjoys photography, nature hikes, the beach, and watching her kids participate in various activities. Julie Schreiner joined Surfside Pediatrics in 2013 and we are so excited to have her as part of our wonderful pediatric provider team! 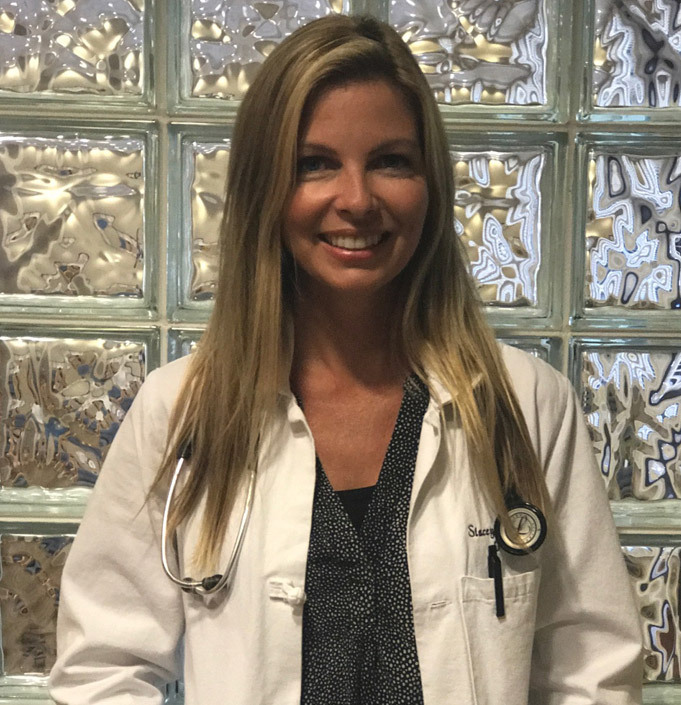 Julie completed her nursing school at Johns Hopkins University and received her Master's in Nursing, Doctorate in Nursing Chile where she received her Certificate in Spanish language studies. 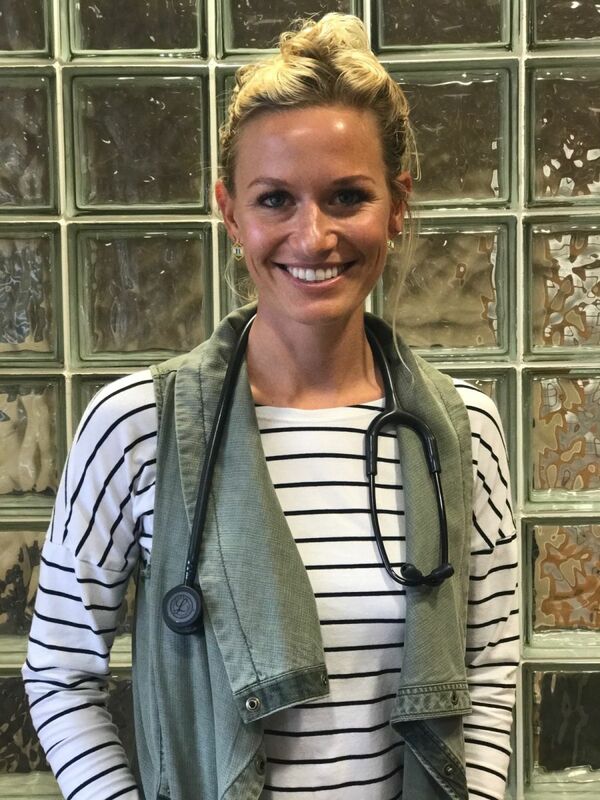 She has volunteered in refugee camps and HIV clinics in Uganda, Africa and completed part of her pediatric residency hours in Tanzania, Africa. Julie has also joined Dr. White and his Africa missionary team to provide medical care to the children of Sierra Leone and The Gambia. She specializes in preventative care for infants, children and adolescents. Julie is also a Pediatric Primary Care Mental Health Specialist and specializes in mental health issues to include: ADD/ADHD, behaviors problems, depression and anxiety and eating disorder care. 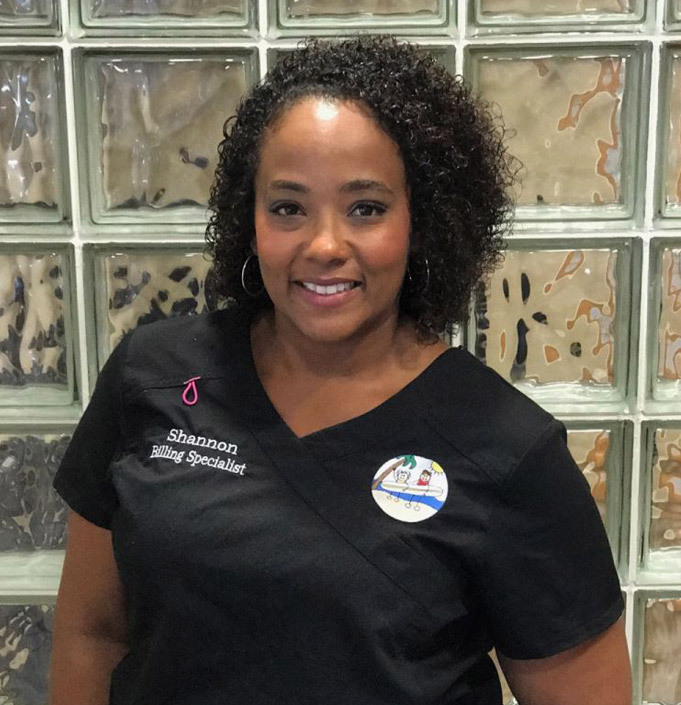 She brings wonderful multi-cultural experience, a passion for wellness care and a friendly personality to Surfside Pediatrics. Her hobbies include cooking, gardening, trail running, traveling, fishing and enjoying the quiet and beauty of her home with her husband and two miniature dachshunds. 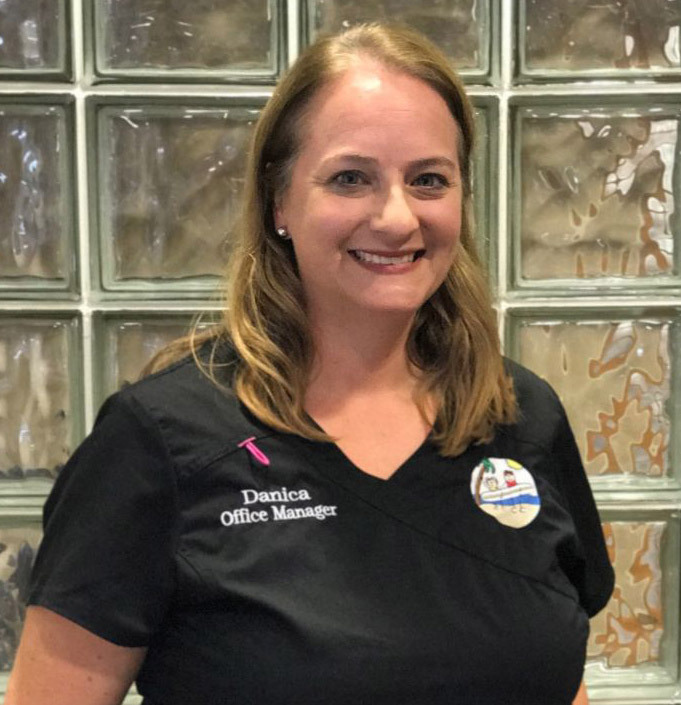 Erin Baird joined Surfside Pediatrics in 2017 and we are so excited to have another wonderful Nurse Practitioner as part of our pediatric provider team! Erin completed her nursing school, Masters of Science in Nursing and Acute Chronic Pediatric Nurse Practitioner Program at the University of Pennsylvania. 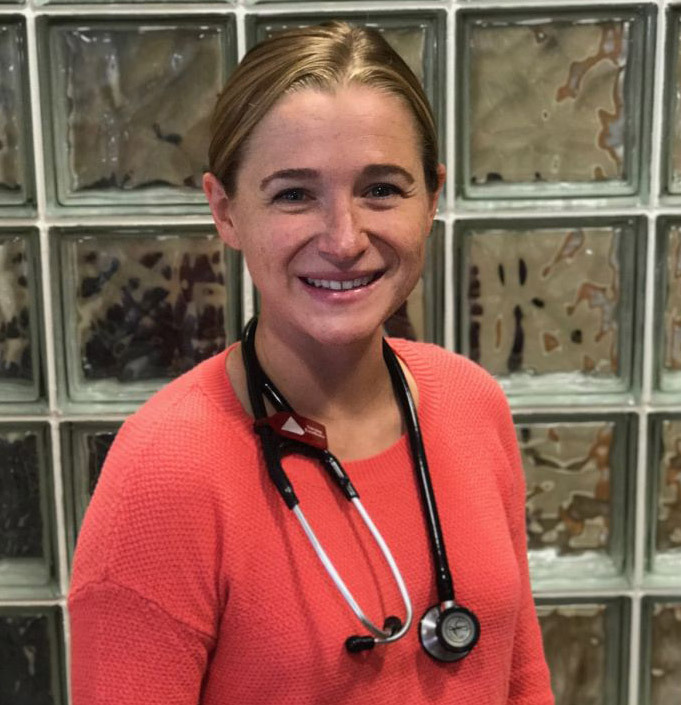 She has worked as an RN at the Hospital of the University of Pennsylvania and as an RN and Emergency Technician at the ER at US Top Ranked Children's Hospital of Philadelphia (CHOP). Erin met her husband Ben on the track team at the University of Pennsylvania. In 2016 a job opportunity for Ben took them to sunny CA. Erin starting working as an RN at Santa Barbara Cottage Hospital in the ER department. Erin is very excited to be at Surfside Pediatrics. She enjoys running, hiking and going to the beach. Erin and her husband are enjoying exploring their new CA surroundings and outdoors with their new Great Dane puppy Hodgie. Erin also enjoys cooking and trying out fun new restaurants. Danica has been at Surfside Pediatrics since 2007. She is the office manager for Surfside Pediatrics. She is also part of our billing department assisting our patients with insurance and patient account questions. Danica has been on two mission trips with Dr. White to Africa and has a passion for international mission work. Danica lives in Oxnard and is married and has two boys. She enjoys reading, hiking and cheering on her sons at their football, baseball and water polo games. Shannon joined Surfside Pediatrics in 2017. Shannon helps with the insurance and patient billing. Before joining Surfside Pediatrics she was worked at an ENT office in Santa Barbara for 7 years and at a OB/GYN office for 10 years. Shannon lives in Ventura and is married and has four children. She enjoys crossFit, gardening and spending time with her family. Celina joined Surfside Pediatrics in 2014. She is one of our front desk schedulers. She worked as a scheduling coordinator at a medical clinic in Ventura before joining Surfside Pediatrics. She is fluent in Spanish. She lives in Santa Paula and is married and mother of two active little boys. Celina enjoys spending time with family, watching her son play t-ball and soccer and cheering on the Dodgers and Green Bay Packers. 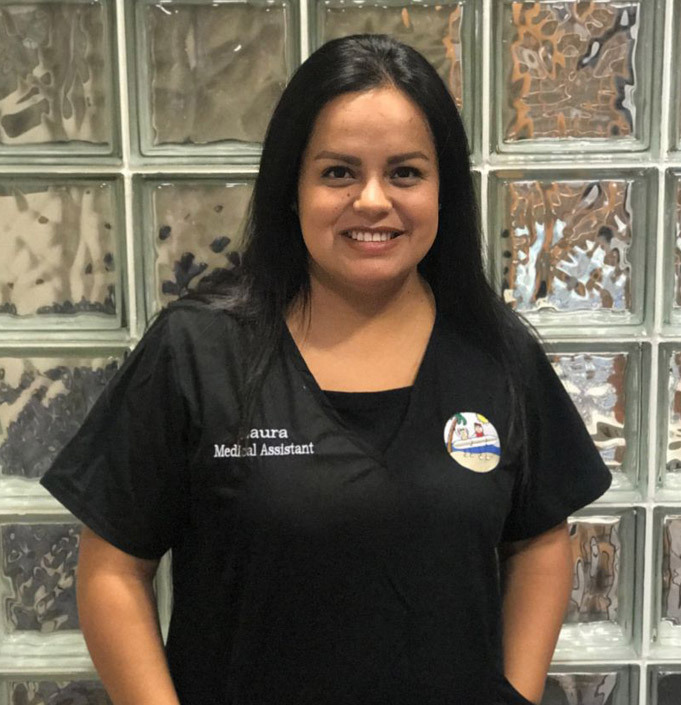 Edna joined Surfside Pediatrics in 2017. She is one of our front desk schedulers. Before joining Surfside Pediatrics she was worked as a member services representative at Anthem Blue Cross. Before children she was s surgery scheduler for an orthopedic surgeon. She is fluent in Spanish. Edna lives in Oxnard and is married and a mother of 2 active boys and a sassy little girl. She enjoys watching her boys at soccer and gymnastics and her daughter do ballet and tap dance. She supports her husband's love of Star Wars. 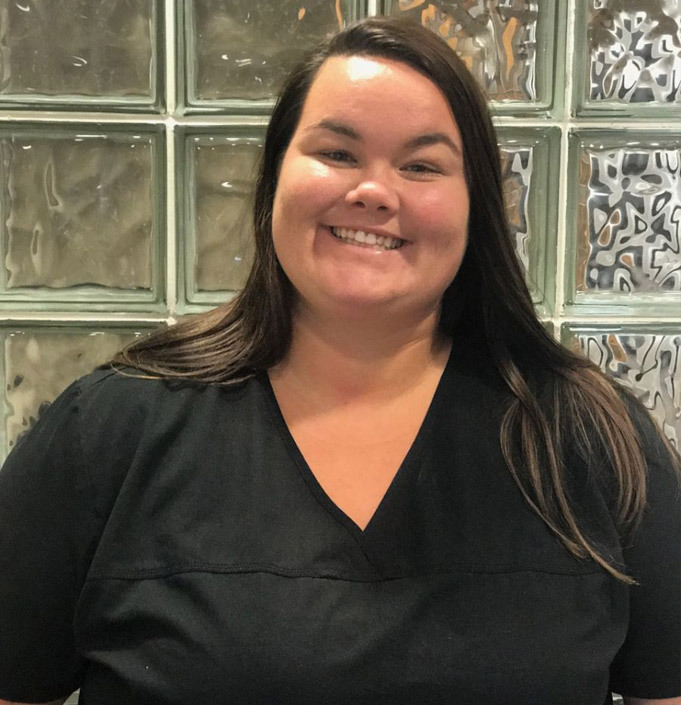 Kaitlyn joined Surfside Pediatrics in 2018. She is one of our front desk schedulers. Before joining Surfside Pediatrics she worked as a medical assistant at Community Pediatrics in Westlake. Kaitlyn lives in Ventura with her boyfriend and her 3 year old son. She enjoys spending time with her family and going to Dodger’s games. Nuvia has been with Surfside Pediatrics since we opened our doors in 2006. Nuvia is our lead back office medical assistant. Before joining Surfside Pediatrics she was worked at another pediatric office for six years as a medical assistant. She is fluent in Spanish. Nuvia lives in Oxnard and is a mother of twin girls and a boy. She is a Dodgers sport fanatic and loves going to Dodgers games. Nuvia has been on two medical mission trips with Dr. White to Jamaica and enjoyed sharing the volunteer experience with her teenage daughter on one of the trips. 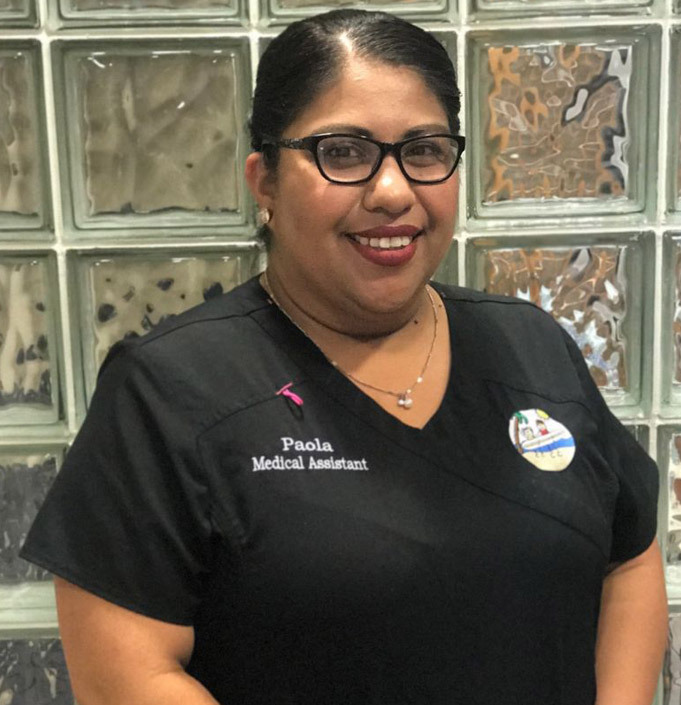 Paola joined Surfside Pediatrics in 2013 as a back office Medical Assistant. Prior to Surfside Pediatrics she worked at a family practice in Fillmore. She is fluent in Spanish. Paola lives in Santa Paula and has a daughter. She loves to go to the beach and park and watch movies. She is an avid shopper at the 99cent Store and Thrift Stores. Denise joined Surfside Pediatrics in 2016. 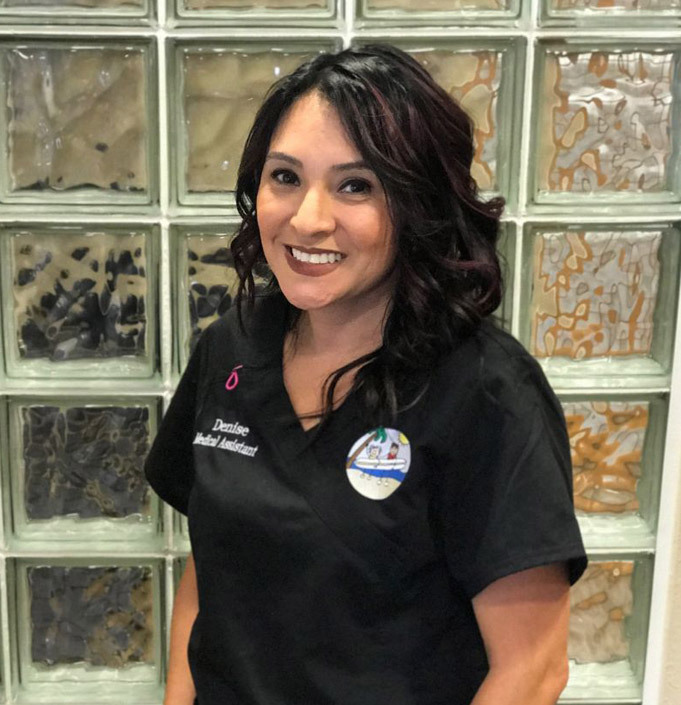 She has been in the healthcare field for 15 years and previously worked at Simi Pediatrics and Conejo Children's Medical Group. Denise lives in Camarillo and keeps busy with her three children. She enjoys hiking and going to the beach with her kids and nephews. 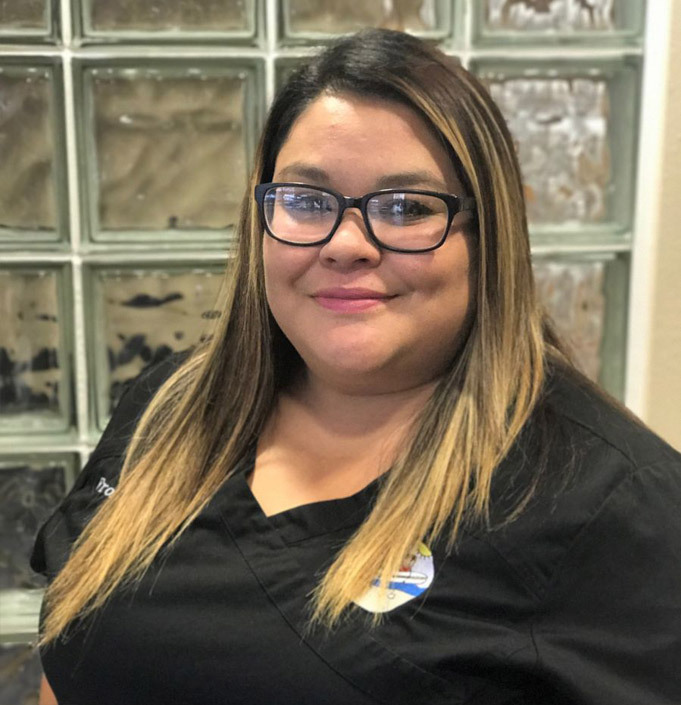 Laura joined Surfside Pediatrics in 2017 as a back office Medical Assistant. 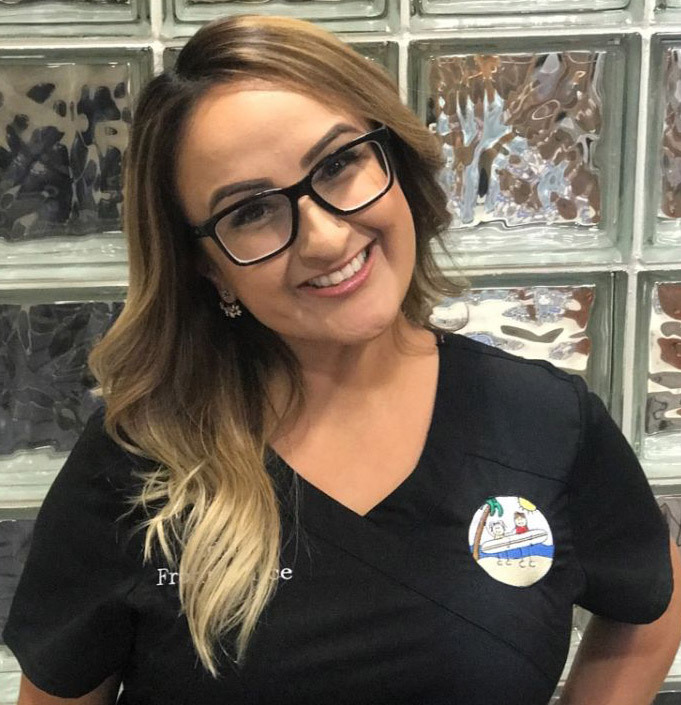 Before joining Surfside she worked as a medical assistant for a Pediatrician at Clinicas del Camino Real in Moorpark. Laura lives in Oxnard and is married and keeps busy with her little boy and newborn daughter. She enjoys spending time with her family and watching the Dodgers and professional soccer games. 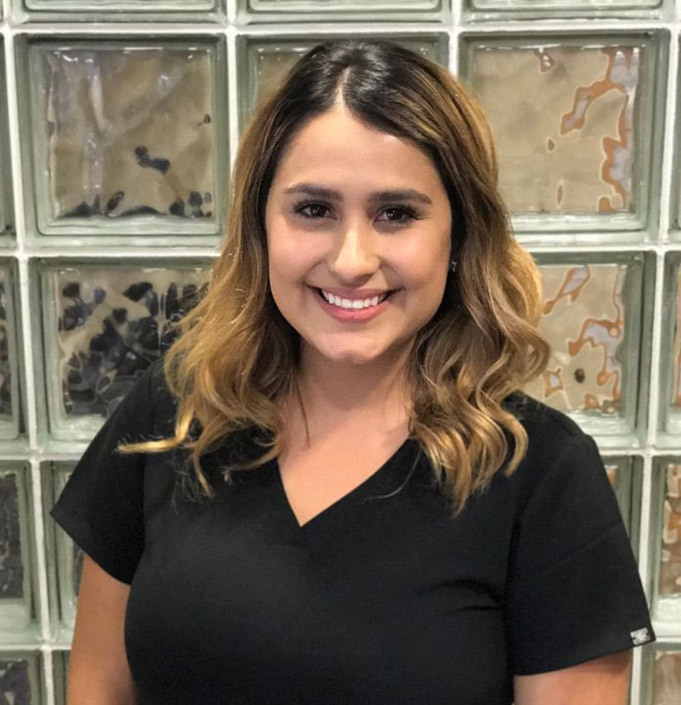 Yeraldy “Yari” joined Surfside Pediatrics in 2018 as a back office Medical Assistant to help us while Laura is out on maternity leave. 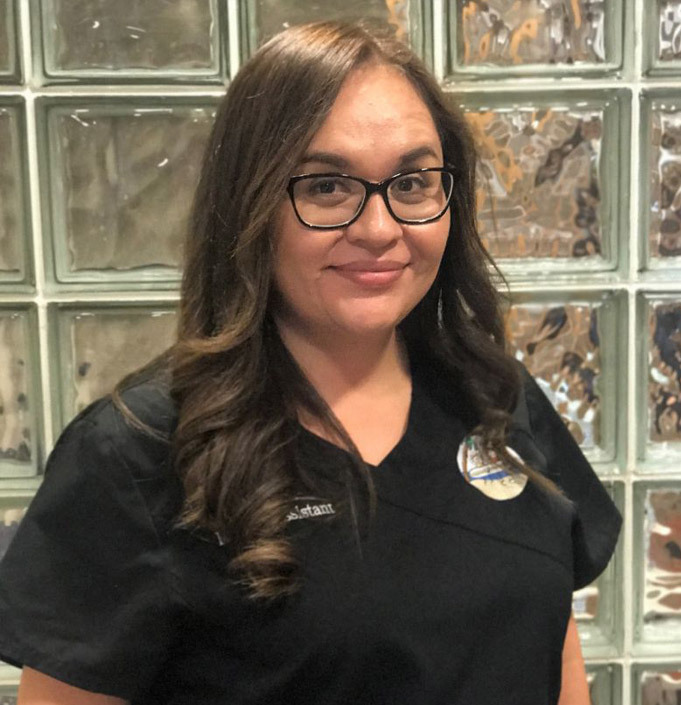 Before joining Surfside she worked as a medical assistant at Anacapa Surgical Associates, Perinatal Diagnostic Center and St. John’s Hospital. Yari lives in Oxnard and has two boys. She likes to keep active with soccer, swimming and going to the gym. For more information on our Pediatrician in Ventura, CA call Surfside Pediatrics at (805) 643-7500!